There's no better way to beat summer's sizzle than in the pool! 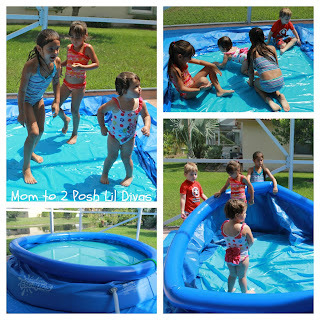 Florida summers are hot, sticky and often humid To stay cool, the Lil Divas could spend all day playing in water and I can't say I blame them. So when I was contacted by BackyardOcean.com to do a review of one of their above ground swimming pools - our answer was an enthusiastic YES! The 10x30 Easy Set Swimming Pool arrived and caused much fanfare and pleading from the Lil Divas to get it up and filled immediately. We had a few helpful friends assist us in setting it up and I was glad I had the help because this wasn't a job for this Mama to tackle on her own. 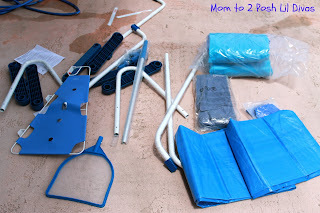 This particular pool set comes is great for smaller spaces and it's perfect for young kids. We had 4 children ranging in ages from 2 to 6 in the pool and they all had a great time playing together with room to spare. It took us awhile to set up the pool. My only complaint is that I felt the directions could be clearer. We would have loved step by step photos to help us along. Aside from that the pool was easy to fill. The natives were restless as they waited for the water to reach the fill line (it took over an hour) because they were super excited to get in and play! Luckily, the set came with 2 beach balls so we filled them up and played catch, volleyball and soccer while we waited. 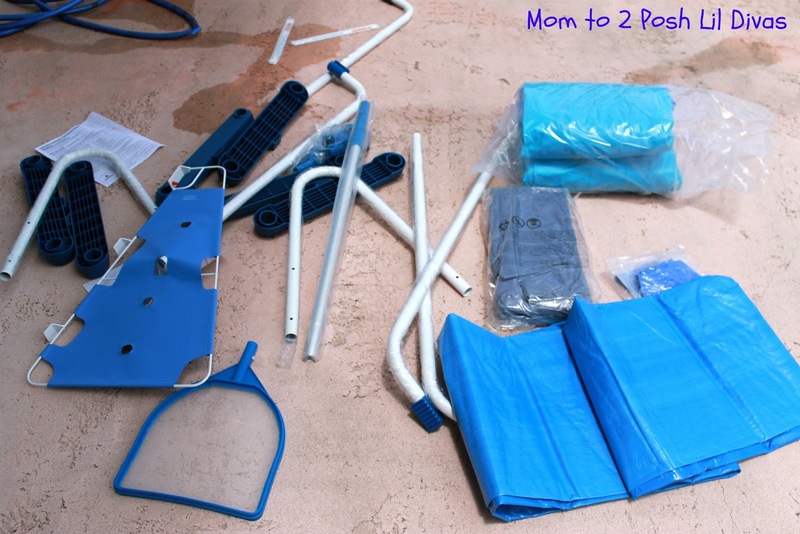 What I liked most about this set was that it includes everything you need (minus the chlorine) - pool, ladder, filter & pump, maintenance/cleaning kit, ground cloth, a repair patch, pool cover, extra filter and 2 beach balls. The kids really had a great time in the pool. They were splashing, swimming, floating, playing and jumping. The pool was sturdy through it all & let's just say they put it through a good test. It was so hard to get them out of the pool even after a few hours! They wanted to keep playing. Once they were out we covered the pool and found it easy to do. The cover fit well so I am confident that it will keep leaves and other debris out. I have no doubt this pool will gets lots of use this summer. If you want to know more about BackyardOcean.com be sure to check out their Facebook page. 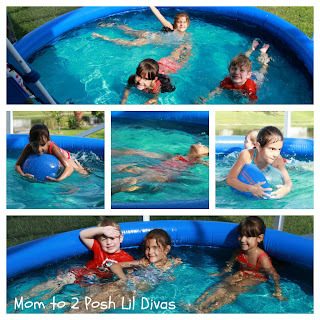 This week they are running a fabulous Pinterest Contest (ends 8/6/12) where you can enter to win gift certificates in the form of store credit to purchase your own pool. So check it out and get pinning for your chance to win! 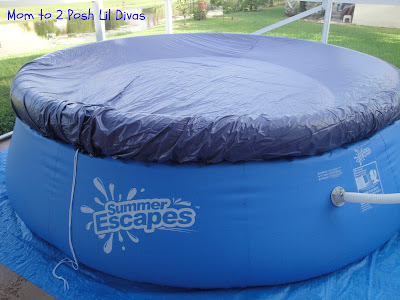 Disclosure: We received an above ground kids pool in order to facilitate this review. All opinions are 100% our own and based on our personal experience with the product. Your experience and opinions may differ from mine. What a fun pool! Thanks for having us over...my kids really enjoyed the pool. I thought it was a great size for all of them to swim in. Looks like a cool pool. My brother has a small yard and two little girls so I'm going to tell him about this brand! Good article. Sustain up the reliable performance. Best of luck!!! little pool is looking very gorgeous and also easy to cover. 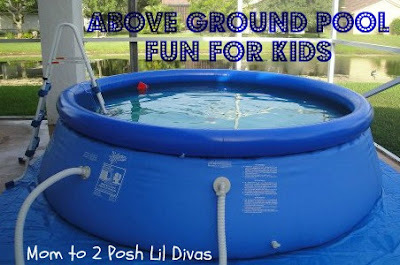 Its a great fun for kids to enjoy in such a pool I am also thinking to have such a pool.